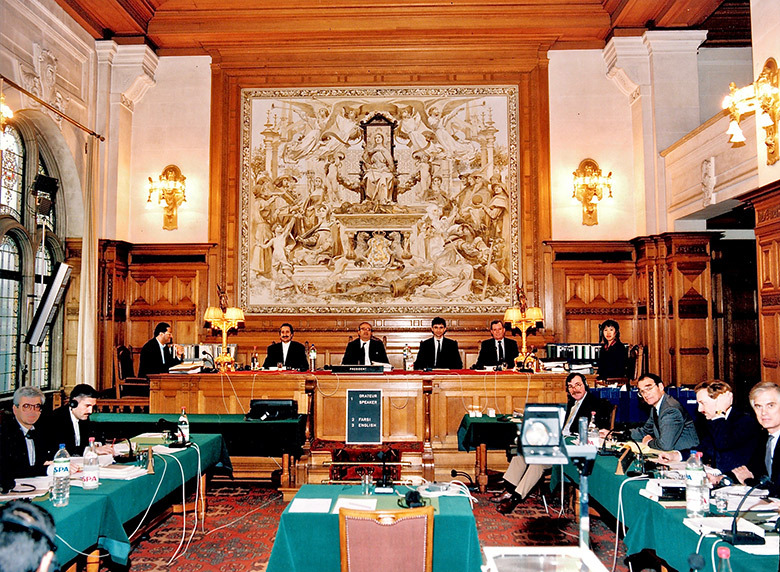 Permanent Court of Arbitration, Peace Palace, 2 March 1992.
case in the President's chamber, Iran-United States Claims Tribunal, 1987. 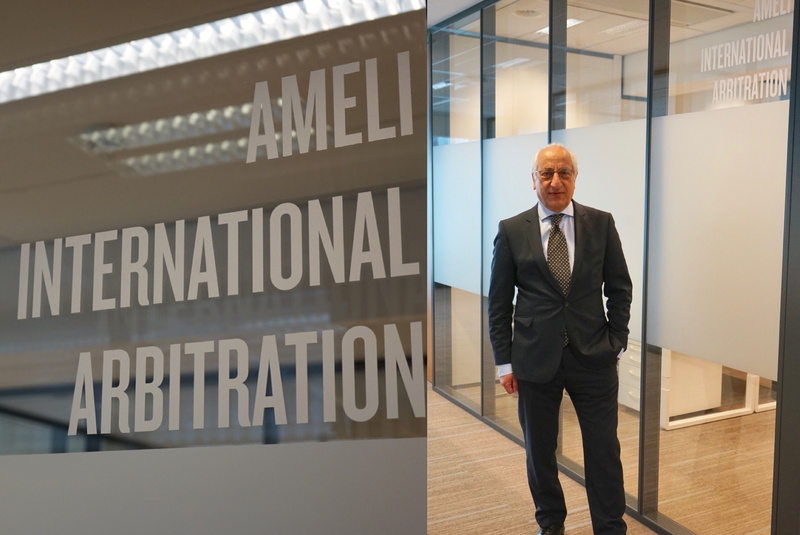 At Ameli International Arbitration, Judge Ameli works as either an arbitrator, legal expert or consultant in cases, as required. 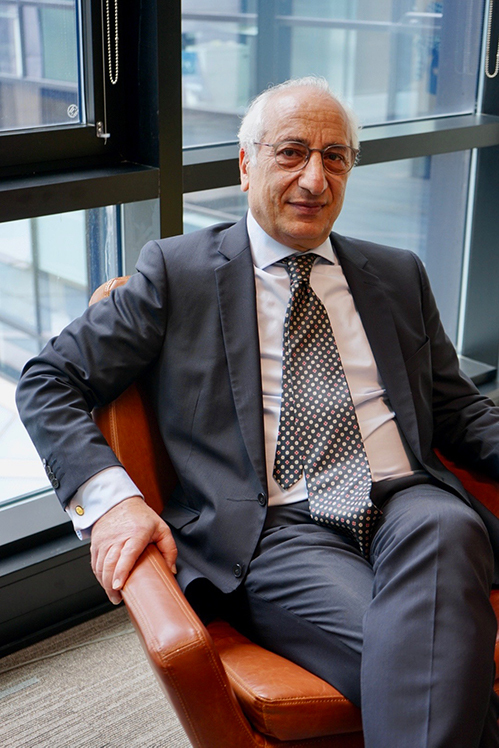 He offers expertise in the fields of international law, Iranian law, international arbitration (commercial and investment), inter alia. He is bilingual in English and Persian, with some knowledge of Arabic. 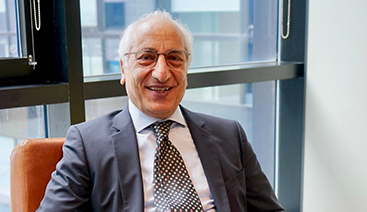 Judge Ameli is also open to joining panel discussions and giving lectures and presentations and interviews, as well as contributing to publications in the fields of international law and arbitration. For requests please contact us. His office is conveniently located in the centre of The Hague in the New Babylon building, adjacent to The Hague Central Station, and just 30 minutes from Schiphol International Airport. 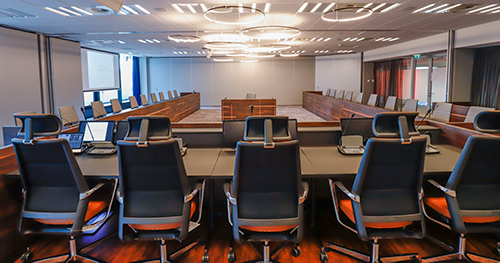 His office building also offers state-of-the-art arbitration hearing facilities at the Hague Hearing Centre, as well as conference and meeting rooms, hotels and other amenities. 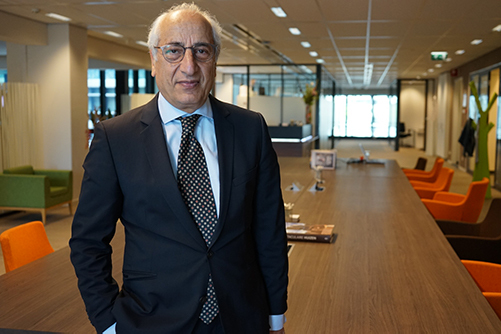 Judge Ameli’s office has convenient access to The Hague Hearing Centre’s state of the art arbitration hearing facilities, opened 7 March 2018, both in same building at New Babylon. For more information please click here. "Judge Ameli is a colleague whom I can have most serious deliberations and enjoy having dinner with." 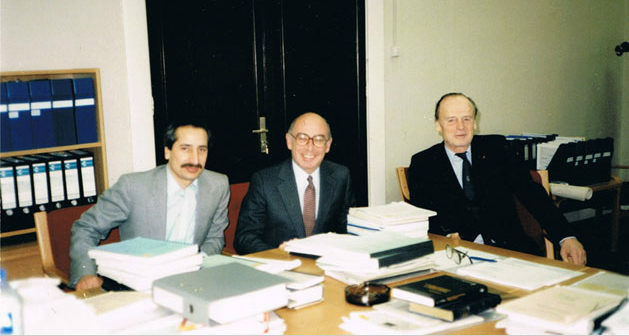 "Judge Ameli is always well prepared on the law and facts of the cases at hand." "Judge Ameli is one of the most effective judges of the Tribunal!" "Judge Ameli’s legal memoranda on the cases at hand are excellent!" 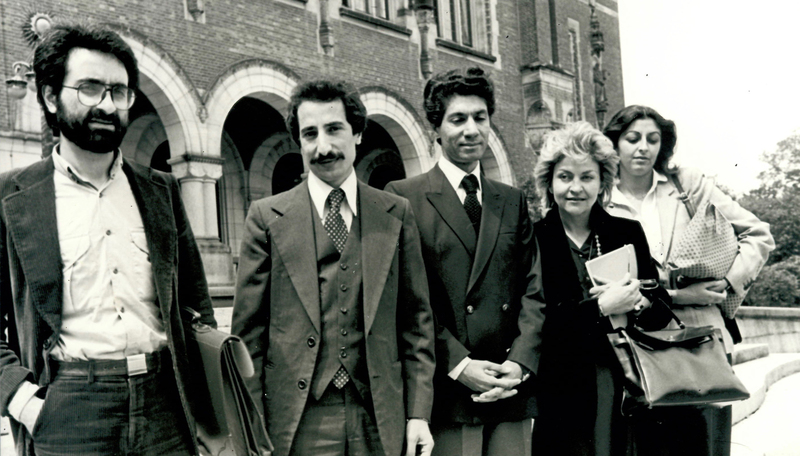 Koorosh Ameli (legal adviser) and interpreters at the Peace Palace in May 1981 during the selection process of the third-country arbitrators of the Iran-US Claims Tribunal.